Yes, it’s been a while since Luis and I(Jason) have been able to be so honored to be in your earbuds.. Thank you for your patience while we took a short break to digest a lot of things, create some things, work on some things and add more things to the list of things ahead for 3DIGITALCOOKS! We’re about to check one of those things off the list as we release our latest 3DFPod, Chapter 11: Summer 2016 3D Food Printing News Roundup. 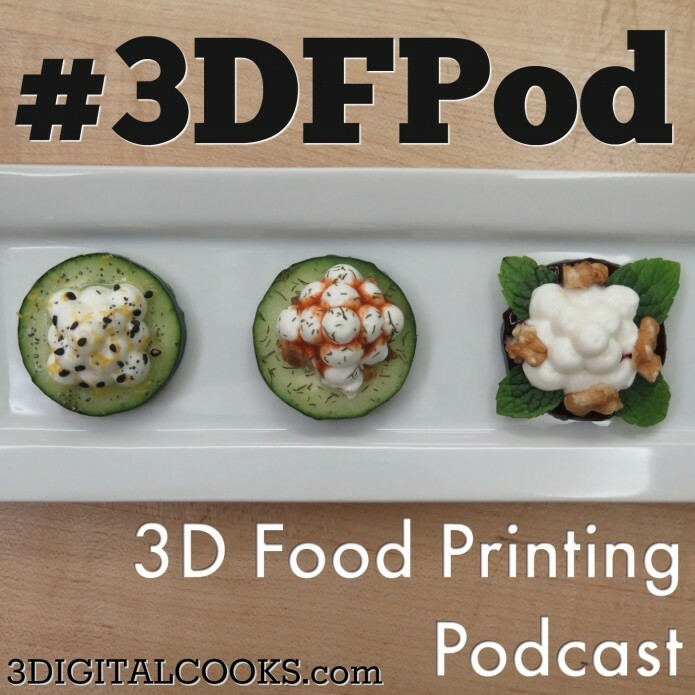 In the latest chapter of the 3D Food Printing Podcast we cover some of the things that happened in the world of 3DFP during the summer of 2016 just in case you may have missed out on anything. Don’t forget that Luis puts out a weekly video on 3D food printing over at the 3DIGITALCOOKS YouTube channel so in case the podcast isn’t enough, head there for some more 3DFP goodness. We’re super excited ( … after you listen to the 3D Food Printing News Roundup podcast you’ll get it) to be back and looking forward to a great Fall and Winter of 3D Food Printing ahead!